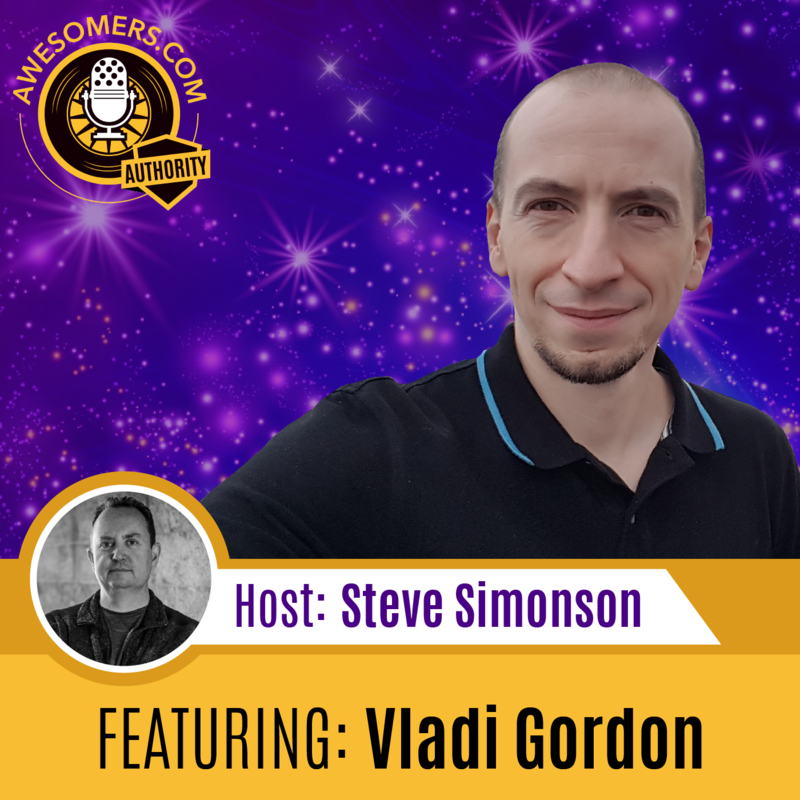 Vladi Gordon is a co-founder of sellerboard.com (formerly known as azcotrol.com, world’s most accurate profit analytics service for amazon sellers. Prior to founding sellerboard, Vladi worked in the software business for many years, building and managing various software products and projects for e-commerce companies and also earned some practical experience as an amazon seller. Vladi is a speaker and a guest on popular FBA podcasts, talking about management accounting for amazon sellers, minimizing effort on accounting and saving time for growth hacking. There are huge commercial advantages in using profitability analytics software in E-commerce businesses. It can provide accurate and real-time view of your profit and calculate indicators and presents them in an actionable form. Vladi’s origin story growing up in Moldova. What Sellerboard is all about and how it helps Amazon businesses. The advantages and disadvantages of selling trend products on Amazon. So put on your headphones and be inspired by Vladi’s amazing Amazon success story. Steve: You're listening to episode number 86 on the Awesomers.com podcast series. And as you may have guessed, all you have to do is run over to Awesomers.com/86 to see relevant show notes and details and maybe some of the links that we talked about in today's episode. Now today is part one of a three-part series with Vladi Gordon and we'll talking about some of the fun things that he's been through in terms of his experience and his background with software development working for Big Blue also known as IBM in his prior career and then that evolving into kind of the Amazon side of the business and then ultimately back into software. It's kind of like a ricochet -- software, Amazon, software. And today we're going to talk a lot about that journey. And we’ll also talk about as Vladi calls it five Amazon profit killers. So you are going to love today's episode. I'm glad you're here. I hope you're glad to be here too. Hey, Awesomers. It's me, Steve Simonson, and I'm back again with another episode of the Awesomers.com podcast series. And today I'm joined by Vladi Gordon. Vladi, how are you, buddy? Vladi: Hello, Steve! Thanks for having me. Steve: Great! Glad to have you indeed. And I've already read in kind of your background and your bio a little bit to tell people a little bit more about you from the high level but tell us right now live, if you will, where do you live and what is your day-to-day responsibilities? Vladi: Yes. So I live in Stuttgart, Germany. Originally, I'm from the country called Moldova. It was a part of the Soviet Union years and years ago, but yes, I live in Germany since 18 years. So basically, I moved. I was a student. And I'm a co-founder at Sellerboard.com, so this is currently my biggest passion. We are a profit analytics tool for Amazon sellers, and our vision is to be the world's most precise tool, the world's most accurate profit analytics tool. And yes, we're live since one and a half years, working on this project as a co-founder and CEO since two years, and I'm loving every day of it. Steve: Yes. I can imagine. It's a fun thing. And now correct me if I'm wrong but the Sellerboard tool, and by the way, everybody, will have the links in the show notes and so forth for everybody to make sure they get good access, but for Sellerboard, is your method a SAS model or do people have to download software? How does it work? Vladi: No, it's a SAS model. The tool is completely in the browser. You can connect your seller central account, and we automatically pull in the data that we need to you know display the profitability charts and do all the math. And you can access it from any browser or any phone basically. Steve: Yes. What a world we live in! You know pretty much any device can get online. You can see what's up, and that is certainly a great day. So, Vladi, before we kind of jump into the day-to-day problems at Amazon sellers face, I'm a big fan of entrepreneurs in general and certainly E-commerce entrepreneurs are near and dear to my heart, I want to learn a little bit more about you if you don't mind. So you mentioned that you're from Moldova. What city in Moldova were you born in? Vladi: It's called Chișinău. It's the capital. Steve: Oh yes, Chișinău. Sure, I know it well. No, I don't know it. I am happy to say I know Moldova. I've heard of that. I gotta be in the top 1 percent of geography knowledge. What do you think? Vladi: Well, basically, it's good enough because this is a small country. It used to have like four and a half million people. Now I think it's less, maybe three million. And it's not a big city, but it's the biggest. So knowing Moldova isn’t off. Steve: That's fascinating! Now what do you think has led to this kind of very significant shift in population? Vladi: I think like after the you know Soviet Union collapse, basically, the economy stopped working you know. And this was a pretty small country, so it didn't really have like a lot of industry going on or banking. And everything changed and capitalism came and nobody was ready for it. Basically, nobody knew what to do, so a lot of people just moved basically like myself and my parents. Some of them went to Europe or to US and another part to Russia or the East. And yes, I think that's the main problem. So basically the country lost a big part of its population. Steve: Yes, that's extraordinary and historic times for sure. So let's stay back with that. It sounds like you were at university at some point. Vladi: I started computer science in Germany. Vladi: Actually, while I was at the University, I started working at IBM because we have a big IBM development lab near Stuttgart. It's like 1800 people I believe. It used to be the biggest IBM development lab outside of the US, but now there are bigger ones in India. And yes, I started working there as a, basically, software developer, and then when I was done with my studies, I continued for another five years. So it was awesome. I was just you know programming code, and this was all I wanted at the time. And I just loved that IBM being so international and you know open. So yes, it was a great time. Steve: IBM certainly an exceptional company that really stood the test of time I suppose. You know a lot of people don't really know IBM's history, and I'm not even going to go all the way to the back of the history. But you know from the you know the 20s forward, they mostly made typewriters, right? And so to have a company that made typewriters essentially, then move into making computers, right? It kind of in the 80s and then completely exit that business. And more or less just be in the software services business is an extraordinary right. And what types of projects were you working on there, Vladi? Vladi: IBM still produces those huge computers called mainframes, and I was on the mainframe team developing software. It was like more of a modern kind of software, like web interfaces everything, but it was still for those big, big computers that are used in banks and insurance companies. Steve: Yes. It's still probably a UNIX based to them I presume. Vladi: Oh well, they do have UNIX as well, but they also have a proprietary operating system. It's called z/OS. It's really like not so like popular. You won't find too many people who know about this, but I think it's like 50 biggest banks in the world use those servers. Steve: That’s very interesting. I guess it's a good way for keeping hackers off the mainframes if you know an expert on Windows or versus the z/OS you know. You're going to find more hackers in Windows for sure. Vladi: Absolutely! Nobody knows how to hack it. But let's say, it's a cash cow for IBM for sure. Steve: Well, we always respect cash cows. And we want some of those cows of our own I believe. Let's talk about from the time you had that job. It sound like you enjoy it. Was their defining moment from that point to now that put you on the road to where you are today? Steve: It's interesting. So I think that's a natural evolution by the way. I also studied computer science for one whole semester and loved programming. I was a programmer from early on, but I realized you know not long into my probably late teen years early 20s that programming could more or less be a commodity, and I wanted to do [not sure-some stuff] in the business world. It's funny that you mentioned the book Good to Great which I think is a very important book to help people kind of again break the paradigms of normal and have a bigger perspective. For those Awesomers out there listed in Awesomers.com/46, my good buddy Michael Bukowski did a book of the week review on Good to Great just recently to remind us that that book even though it's you know somewhat dated the concepts and the ideas and the lessons are not in fact dated. It sounds like you took something away from that book too, huh? Steve: That's fascinating. I'd like to dive more into that here in a minute. I'm going to ask you some follow-up questions. But first, we're going to take a quick break, and we're going to do that right now. Hey, I wonder if you are my Awesomer review hero. I saw a five-star review on iTunes the other day, and it's from Old Lady JJ. 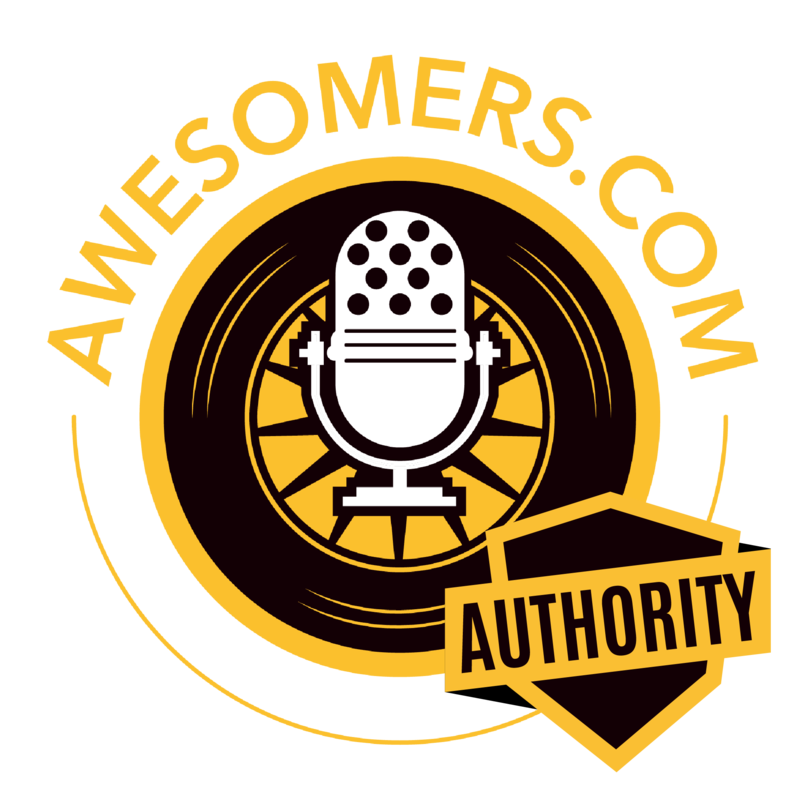 And she leads with this title “Awesomers Podcast Really Is Awesomer.” It's a five-star review, which of course makes our day, myself, and the whole team that works on this and there's a bunch of people, three, four people who work on every single episode. I think at least four, plus me, that's five. So there's a lot of work that goes into these. So these really do make our day. So again I'll lead the title “Awesomers Podcast Really Is Awesomer,” and here's what she goes on to say, “This podcast is full of rich knowledge and experience that is freely shared. Not only is it entertaining but by applying what I'm learning, I’m changing and becoming a better person, not to mention you will learn how to become a successful business owner and entrepreneur from the best in the business. Such a superb podcast.” And all I could say is you are my Awesomer review hero. Thank you so much for the kind words. It really is humbling to see those words written down. And I hope that I can continue to earn your trust and earn your listenership because you know you, Old Lady JJ, and anybody else listening right now, you guys really are the reason I'm doing this. So, Old Lady JJ, you are my Awesomer review hero. Steve: Okay, we're back, everybody. And just before the break, I teased this idea of kind of diving a little further into this, pardon the expression, but the Amazon hype that was going on four or five years ago. So you are right that you could sell on Amazon you know dating back many, many years. In fact, the first time we were invited, one of my old companies was invited to sell on Amazon, was probably in the 2001 to 2002 timeframe when they were testing a concept called Z shops, which did not go particularly well by the way. But they got smarter and better and faster and ultimately developed the marketplace, which has gone on very well. But it's exploded here in the past five years. How did you get introduced to the concept of these training courses out there? Vladi: I'm not sure anymore, but I guess I just you know I was watching some entrepreneurial videos and somebody was talking about Amazon. So I started googling and looking on YouTube. And I learned about this courses, but I actually never bought a course. I found a podcast and like a couple of podcasts. All of them starting at that time. So I found one. I think it was The Amazing Seller. And then I started listening to it and just reading it. So I didn't really buy any course. Did it all myself. Steve: Yes. You were clearly a learner. You like to get out there and scour the internet. And Scott, who runs The Amazing Seller podcast which has been going on quite some time. I think that’s up to 500 maybe 600 episodes now. It's crazy. Going for a long, long time. So that shows you’re a really good learner. Did you then launch a product on Amazon? Vladi: Yes. Well, actually, my first product was a success. It was interesting. So at that time, virtual reality was coming you know with Oculus, and Google launched their own virtual reality glass. Have you heard about it? It's a cardboard glass. It was called Google Cardboard. Steve: I remember but go ahead for the audience who hasn't seen that or familiar and described how simple it really was. Vladi: Yes. So basically, it's a card. It's a pair of glasses for virtual reality from cardboard, and you can fold it and put your phone into it. And there are two little lenses, plastic lenses in it. So you can look on your phone. And Google also made or launched an app for this. They called it also Google Cardboard I believe. And you have some like 3D games there or like a world which you can explore and also a cardboard, Google Cardboard version of YouTube or you can watch YouTube in 3D. And basically it's a funny gadget because you can try virtual reality. You fold it together, look into it. You can't really use it for hours because it's cardboard and it's cutting your nose and it and the advanced lenses are too small. But you do see this 3D effect, and if you've never done this before, then it's amazing you know. It's something you go like,” Wow.” And then you're like play with it for 20 minutes and you throw it away or you buy it may be a better VR glasses. Yes. So basically, I came across this idea and bought one for myself and nobody's selling them on Amazon in Germany, and then I was reading about Amazon. So, “Okay, it matches and all that. I'll start my own brand of you know cardboard VR glasses.” And Google back then, they made the specifications open source, so they published the specs so that everybody can produce them because this was their goal. They didn't really want to make money with the glasses. They just wanted to basically make VR popular. So I ordered 10 pairs of those glasses on AliExpress and made pictures with my phone and put them on Amazon. And I didn't have any reviews, but I did know about PPC. So I started PPC but just I don't know, maybe 1 buck a day or euro. And I sold all of them. And I even got a review I guess from those 10 units. And there wasn't any competition at all. I was the only guy selling those glasses. And they were like starting to become popular. So then I found a supplier in Alibaba and ordered one box with 100 pieces and put them online. I didn't really do an optimization, or you know it didn't really gather any reviews either. So no launched at all. I just put them online and just a little bit of PPC. That was it. So I sold all hundred, then I ordered 300. And then I had a kind of a bad moment because they were all broke, and they were all wet and was cardboard. And I had I don't know bad supplier who didn't really know about QA. And since then, I know, “Okay, you should have some quality assurance in China you know.” So they sent it to me, and of course they didn't give me the money back. And it was a disaster. But anyway, I was ordering more and more and more, and it kept growing. And kind of you know, it was a trend product. And it's easy to sell those especially if you're the only one. And for the first six months, I believe I was the only one because Amazon wasn't that popular in Germany. There were no courses, no blogs, no podcasts in German whatsoever. And you had to find out everything on yourself about that and you know taxes and import and how to import. So this thing kind of exploded. And then Google was pushing it. And there was one day, when I looked on a German news site and there was a picture of Barack Obama with Angela Merkel. Both wearing those glasses. And I think I saw like 180 pieces at 18 dollars per piece and buying price something like. So it was good. Steve: Love that kind of history. So first of all, kudos to you on being able to kind of see a trend that was probably near and dear to your heart, right? The first time somebody puts on, if the audience wants to kind of imagine kind of like fat sunglasses that you can slide a phone into, that's essentially what they were. And they had their own lens that really can transform an experience where they have some videos as you move your head and look around, it changes the field of vision that you see in there and process. It really does feel cool and interesting. But it definitely is a, probably lot like fidgets spinners, right? Steve: Then it goes away. And so how did that, once the trend cooled off after having that really great moment where you know leaders of countries are helping, how did that finally end up resuming once it has? Vladi: Yes, yes. So well, as you said it's a trend product. It's a good thing if you kind of catch the wave, but it also burns down quickly because then thousands of sellers started to sell it especially Chinese guys you know, and the price goes down. And at a certain point, the hype is over, so nobody wants to buy them anymore. And everybody stays there with you know a huge amount of stock. So you can't really make any money anymore. And well, what I was trying to do, I was trying to launch some more products because I thought, “Okay, I just should repeat it a couple of times and then I'm good to go.” And it kind of worked. But I didn't find such a trendy product anymore, so I couldn't repeat the success of the first one, and then I understood, “Okay, what I need now is a process.” Because when you have one product, it's easy. You know you order it. You have boxes at home. You just check them and send them to Amazon. When you have like five, you have to even five or maybe also different colors in every one of those five products, you have to have a process. You know you have to have people helping you. And when you start hiring people, they are making mistakes. It doesn't scale. So you need some preps center. You're paying money for this, that. You need you know more overhead. Steve: I think all of these problems that you're talking about, Vladi, are only for you. None of us have had those problems. No, you're right. I'm sure everybody listening who's gone through the process of growth on E-commerce or in your own businesses experience this. Keep going. Vladi: Yes. What you need at that point is you need persistence, and you need to you know to deal with those promise one by one, and you need focus. And my problem was I was a little bit defocused, and I already started thinking about the next project. I said, “Okay, I could be a software for Amazon sellers because I'm a software guy and not like a seller I guess by nature.” And I found this niche, profit analytics, because it was hard for me to understand how much money I'm earning. And there were basically no profit tools. I think there was only one. It was pretty expensive and imprecise. And I thought, “Okay, we can make it in a better way and cheaper and better, and it doesn't look like too much work.” And at the end, it was way much work that I thought. Steve: This is one of my axioms, it always takes longer and cost more. And that was specifically lessons I've learned in software, but it applies to almost anything. Sounds like that happen to you too, huh? Steve: Yes, The milestones in software are much less obvious near the end because you're sitting there squashing bugs and things. They caused a lot of pain, but there's no real big relief when they go away because they weren't obvious. They're not in your face. They're not on the screen. And it's like instead of you being able to say, “Oh, now it's worth more money.” It's like no, now it's worth money. Vladi: Even though it's working as it is. Steve: Well, I definitely know what you're talking about. Software has definitely been part of our history over the years. We're going to take another quick break. When we come back, I want to talk about some of the profit killers that are out there. And you've spoken about this in various conferences, and you have kind of your five profit killer ideas. And I want to talk about those when we come back. Is that good? Steve: All right, we're going to do it right after this break. Steve: Okay, everybody, so that's the end of part one of this three-part series with Vladi Gordon. And again, I'm thrilled to have Vladi joining us and can talk a little bit about his background and then start getting into some of those very important topics, like, “Hey, where's the money?” Right? The old saying follow the money is too often as E-commerce sellers and specifically sellers on Amazon. We lose track of some of the things that are most important whether it's returns or some of the other details that we talked about in today's episode. We're going to continue to talk about that in the remaining parts of this series. So again this has been part one of three. Join us again tomorrow for the second part of this series with Vladi. And just as a reminder as well, this has been episode number 86 of the Awesomers podcast series. So just run over to Awesomers.com/86 to see any further details. Well, we've done it again, everybody. We have another episode of the Awesomers podcast ready for the world. Thank you for joining us, and we hope that you've enjoyed our program today. Now is a good time to take a moment to subscribe, like, and share this podcast. Heck you can even leave a review if you wanted. Awesomers around you will appreciate your help. It's only with your participation and sharing that we'll be able to achieve our goals. Our success is literally in your hands. Thank you again for joining us. We are at your service. Find out more about me, Steve Simonson, our guest, team, and all the other Awesomers involved at Awesomers.com. Thank you again.